There are lots of definitions of a family. Merriam-Webster includes 8 different ones, including “the basic unit in society traditionally consisting of two parents rearing their children.” But also, “a group of individuals living under one roof and usually under one head.” Or this, “a group of persons of common ancestry” or “of common stock” or “of common convictions.” Well that just about includes every attempt of people who live together in some kind of community. That’s what we have in mind with this series as well. The basic question is: how do you do life together? We depend on past experience, common assumptions, or our own impulse to make “family” work. But there is also plenty that pulls us apart. The Bible provides wisdom that can help us build life-giving, loving, creative community in any kind of family context. In this series our prayer is that we can help build families and communities that flourish. 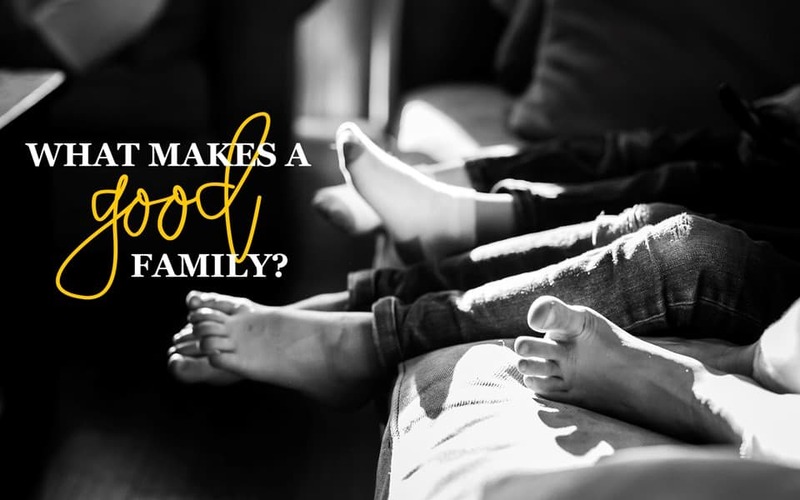 by Nathan Elgersma | What Makes a Good Family? by Koenraad Beugelink | What Makes a Good Family?